JOIN MAITLAND’S PREMIER DANCE STUDIO AND BE GUIDED TO SUCCESS LEARNING TAP, JAZZ, BALLET, CONTEMPORARY, LYRICAL & HIP HOP. 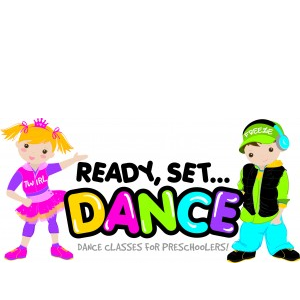 Ready Set Dance is a one hour combo class jam packed with fun running in two levels, Level 1 (age 2-3) & Level 2 (age 4-5). Both classes include hip hop, tap, jazz, singing, music and much more. Classes are specifically designed for boys and girls and focus on introducing them to basic dancing skills, developing their co-ordination, rhythm skills, social skills and musicality. Leaps N Bounds Toddler Ballet is a favourite with our little ones who have their heart set on learning ballet. In this 30 minute class we introduce the basics of ballet in a fun and interactive way. We implement props and imagination games that start to encourage their ballet skills such as pointing feet, tippy toes and co-ordination. HVT’s tap classes focus on the L.G.T.D.A. tap syllabus for the first semester then concert preparation for the second semester. This tap syllabus produces excellent tap technique and a thorough knowledge of all tap variations which can be incorporated into our concert routines to produce fabulous results. HVT ballet classes follow the R.A.D. (Royal Academy of Dance) syllabus, the most recognised ballet organisation in the world. Learning a syllabus enables students to learn age appropriate exercises and develop their skill and love for Ballet. This is a fun, popular dance style that helps to showcase a dancer’s individual style with energetic moves, up beat steps and modern music. This class improves a dancers flexibility as well as stamina and is great exercise. A ballet class must be taken in conjunction with jazz for optimum results..
Hip Hop Classes are for those who wish to dance to current music following today’s modern trends. 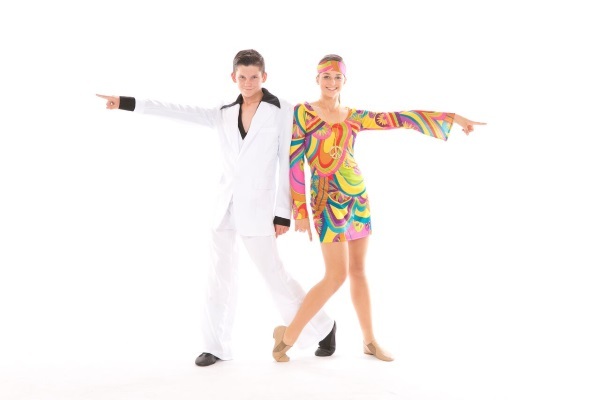 You will learn a choreographed routine and find this class fun and intricate. 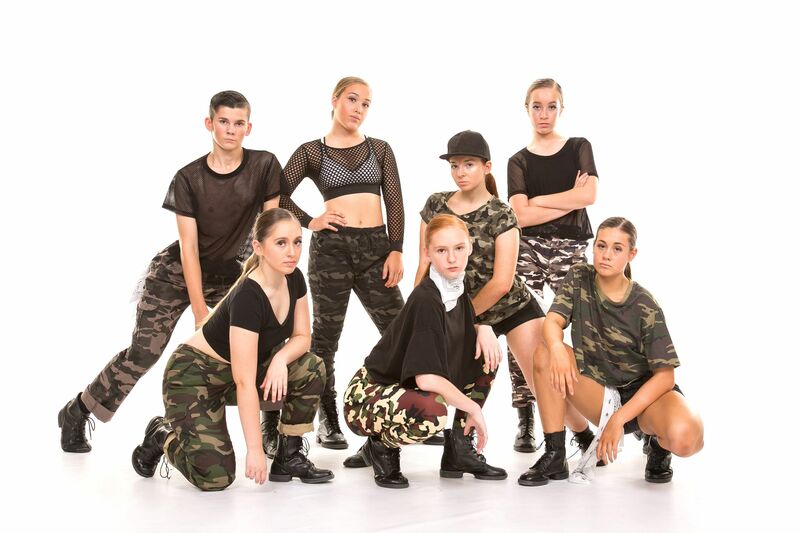 HVT’s tap classes offer the L.G.T.D.A. tap syllabus for the first semester then concert preparation for the second semester. This tap syllabus produces excellent tap technique and a thorough knowledge of all tap variations which can then be incorporated into concert routines producing fabulous results. HVT Ballet classes follow the R.A.D (Royal Academy of Dance) syllabus, the most recognised ballet organisation in the world. By learning a syllabus it enables the students to learn age appropriate exercises and develop their skill and love for Ballet. to up beat and modern music. Doing a Ballet class will enhance a dancers ability and give best results. This class improves dancers flexibility, stamina and is great exercise. Now that we move into the more advanced classes the choreography becomes more complex, the tempo is faster and the routines more challenging. This is the perfect class for those wanting a challenge and who have a strong jazz background. While studying a classical Ballet class you can also have the opportunity to take part in our contemporary & lyrical classes. This modern style of dance utilizes the body’s natural lines and energy, allowing a greater range and fluidity of movement than conventional dance techniques. 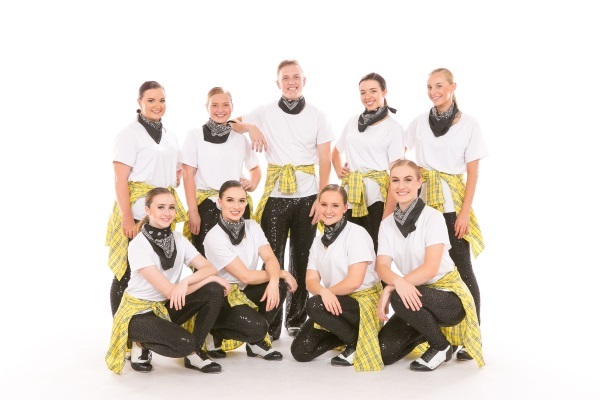 This class is perfect for those ages 12-16 years who want to join a non-competitive fun class which offers a great mix of Jazz and Contemporary. In this 60 minute class you will work on flexibility through stretching, increase fitness with cardio and learn up to date and current choreography like that shown on music videos. If you’re a past dancer or you are a beginner then we have a class to suit you on a Wednesday evening. Our adult tap class has been a huge hit for the past 2 years. The class is loads of fun and we even manage to have a few giggles along the way. We do a range of exercises on the barre and in the centre then we rehearse a routine to perform in the end of year concert. If you do not wish to take part in the performance then that’s no problem to just join our class for fun & fitness and of course to make new friends :-). This class is a combination class and is great for those wanting to get fit, toned and supple. You will work on flexibility. Combine that with modern music for a contemporary flare. The style represents our current culture and is always changing due to music trends and styles. This modern style is great for all ages and ability. Examinations are introduced at the age of five and are optional. HVT offers exams in Tap (L.G.T.D.A.) and Classical Ballet (R.A.D.). We encourage students to participate in exams annually as it gives the children a great understanding of terminology, appreciation for music & rhythm and is also confidence building. Exams are a great way to set and reach goals and it offers students the incentive to improve. The results from sitting for an exam are very rewarding. Tap: Students sitting a tap exam are required to enrol in one tap exam group class per week. Once they reach Bronze Star and above, one class and one private lesson per week is required. Ballet: Students sitting a Ballet exam are required to participate in two ballet exam group classes each week from Primary-Grade 1. Grade 2 will require two classes and a character/exam dance group lesson and from Grade 3, two classes and a private lesson are required. Private lessons may be shared with an exam partner to reduce costs. 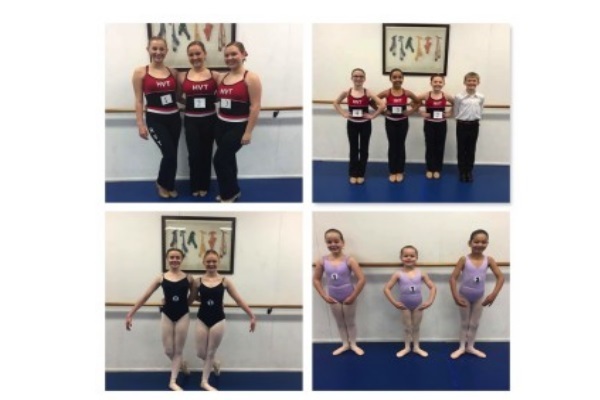 Leotards and character skirts are hired from the Studio for the ballet exam from Primary to Grade 5 level. From Intermediate Foundation and above you will be advised what leotard and style to purchase. 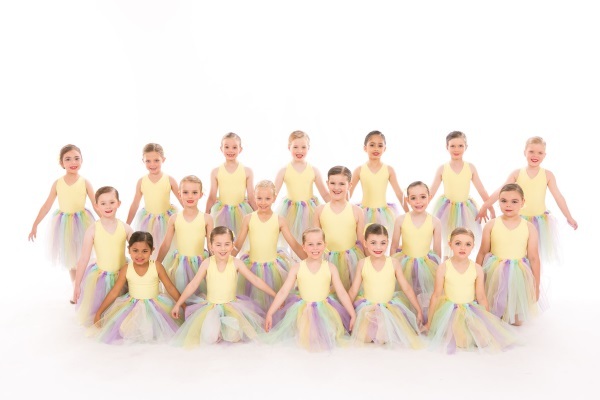 HVT’s competition troupe classes are available from 6 years of age. This is a selected group of dancers who excel and are looking for more performance opportunities. They are required to participate in a weekly tap, jazz and ballet class. 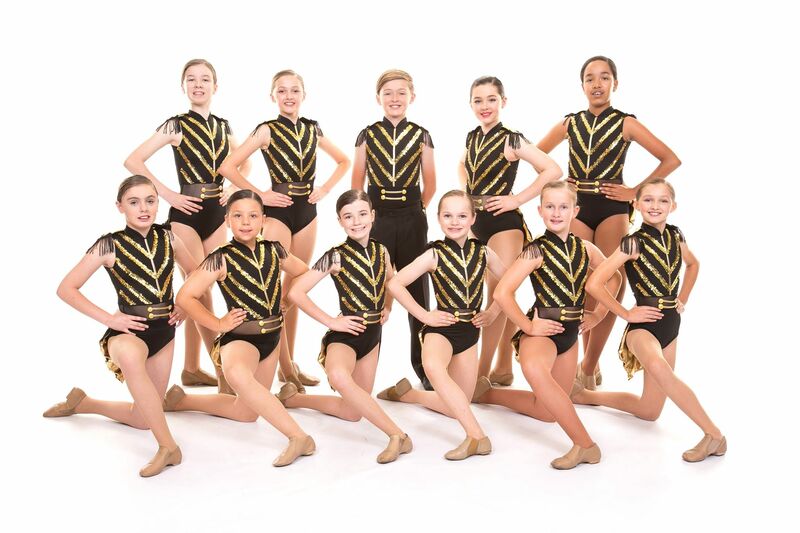 By being a member of our troupe team students develop confidence, commitment and teamwork. 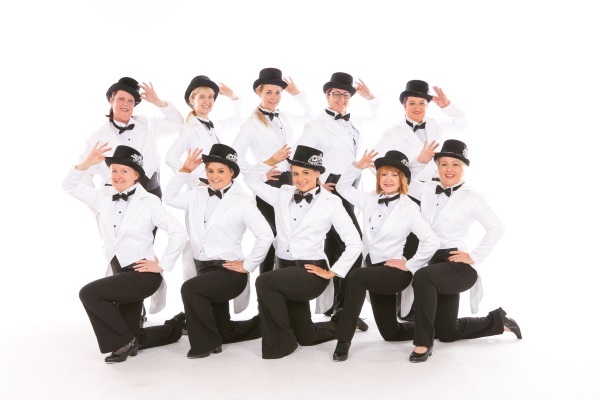 Team members learn choreographed routines that they perform at eisteddfods, festivals and shows through out the year. Children love to dance as part of a team and feel a great deal of self worth and happiness for their fellow troupe members when they succeed. With this solid training they can potentially become professional dancers or even gain a diploma in dance teaching which opens doors for future employment in the entertainment industry. 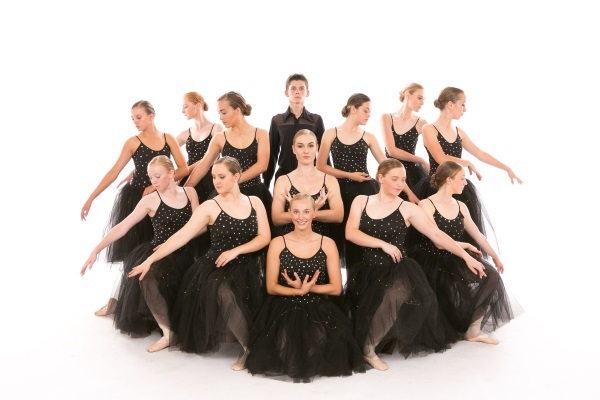 HVT’s network of connections in the industry include the Australian Ballet School, various cruise companies, other international and national performance organisations and agents who assist dedicated performers to realise their dreams. 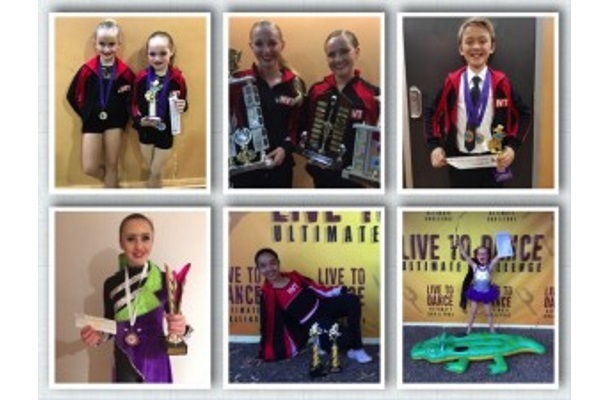 HVT students have been very successful for many years competing in solos at Eisteddfods, winning many awards and championships. We pride ourselves on our reputation, professionalism and our results are of a very high standard. Eisteddfods are a great way for children to gain confidence and boost their self-esteem through the achievements that can be gained. If you are interested in gaining more stage time or you have a dancer that would love to perform on stage on their own we can help. Along with a private lesson, an eisteddfod group class is required once you have two routines or more. This is where your routines are polished which leaves your private lesson time to focus on new routines. Practise should also take place at home during the week too and is very important for improvement. We can teach simple last minute moves OR something more personalized that suits you as a couple or your entire bridal party. 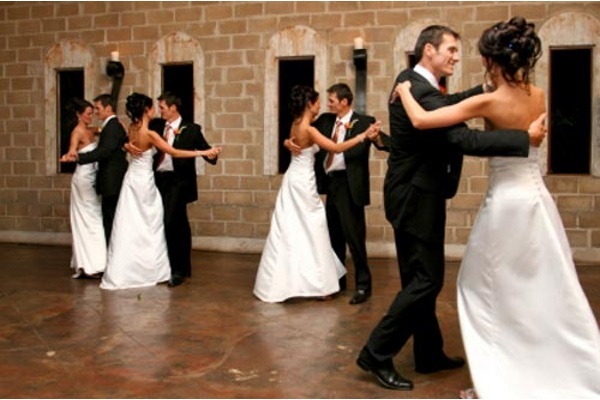 Be it something traditional like a waltz or something up beat we can tailor it to just about anything. You can book a one off lesson or a block of lessons. Email now to see how we can help you out with your special day.